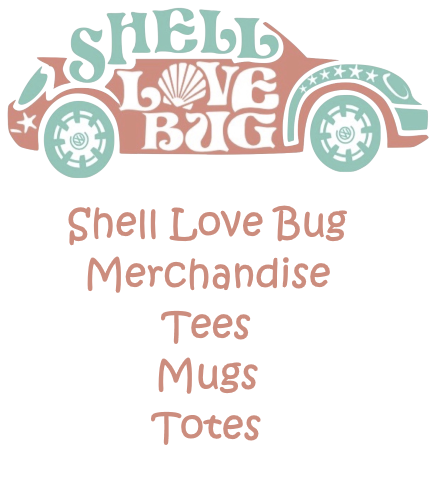 Shell Love Bug | The ultimate symbol of the love of seashells and shelling! 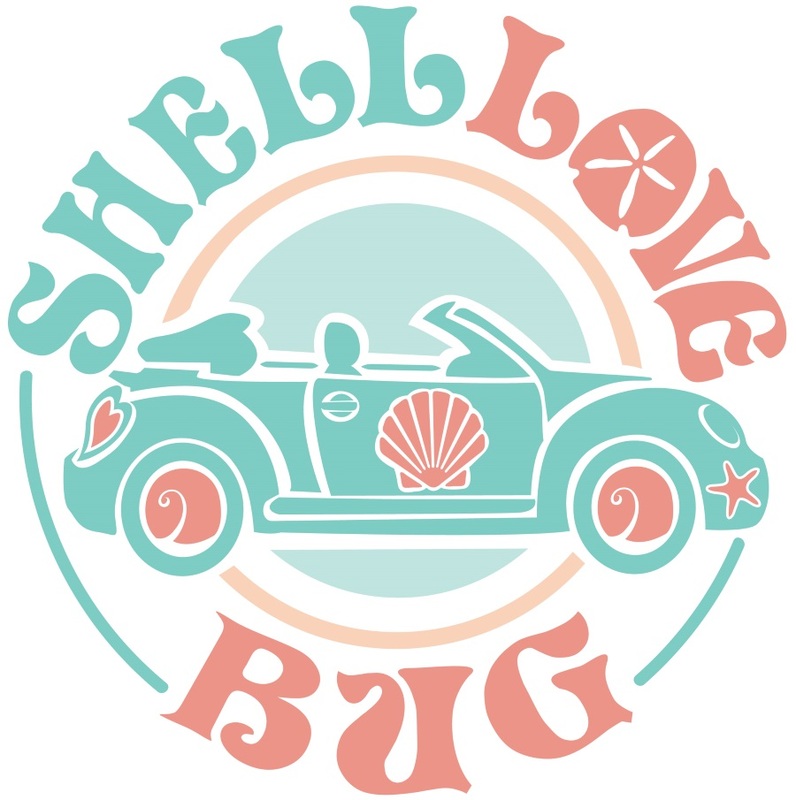 Shell Love Bug is the largest mobile Sailors Valentine on the planet designed and made by artist Pam Rambo of iLoveShelling.com. 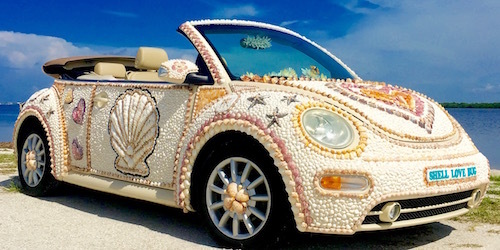 Using over 20,000 shells, this shelldazzled sculpture is the ultimate symbol for the love of seashells and shelling… hence the name Shell Love Bug. 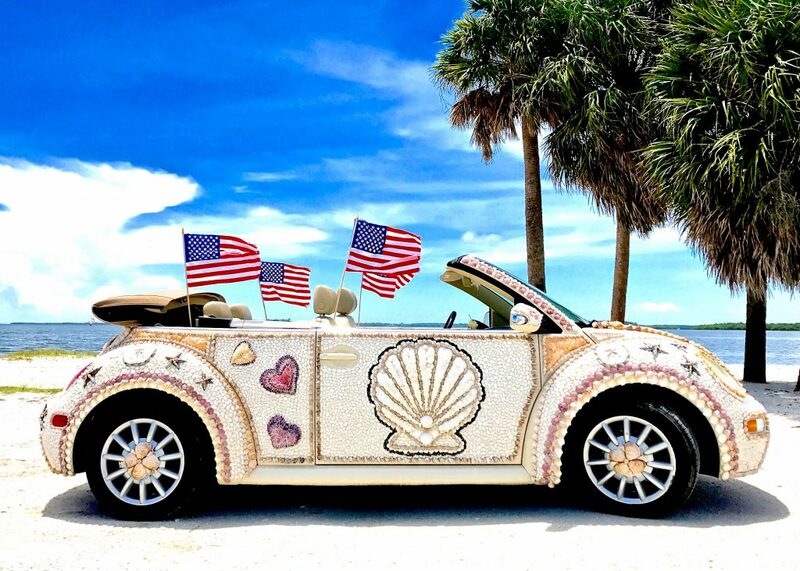 Most of the shells used to make this shelltastic masterpiece are from the personal collection of Pam and Clark Rambo, the Sanibel Shell crafters and shells donated by other shell obsessed friends of Pam. 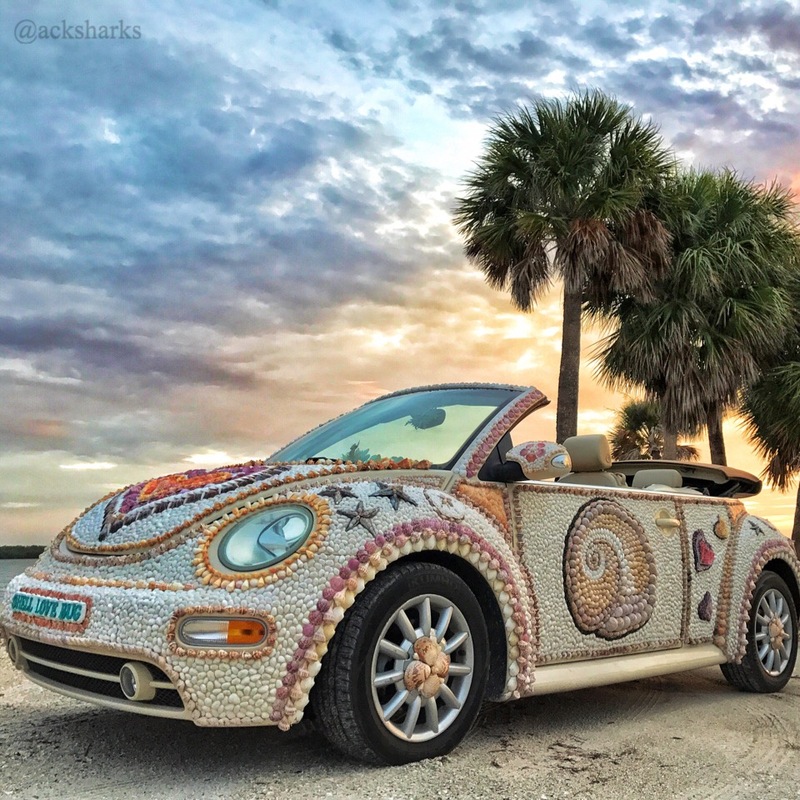 Within 6 weeks, Pam’s envision of her seashell mobile sculpture using a 2005 Volkswagon convertible Beetle as her canvas came to fruition. She used over 56 species of shells and over 100 tubes of glue (click here for glue info) adding just over 200 pounds of weight. Pam is known as a “shellebrity” because of her world wide shelling adventures she has shared with such joy and silliness with other beachcombers around the planet. 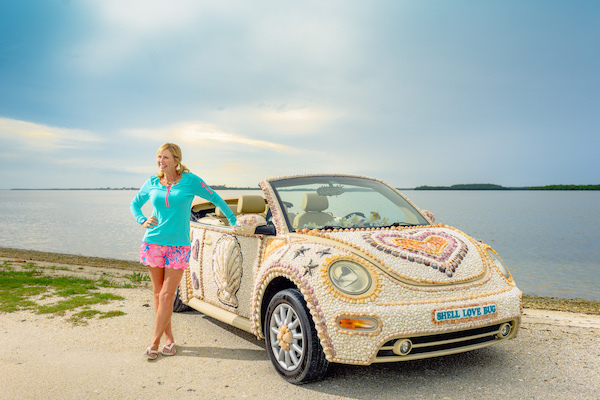 She made Shell Love Bug using only hand collected seashells from many life times of beach combing of which none of the shells on this sculpture were bought. 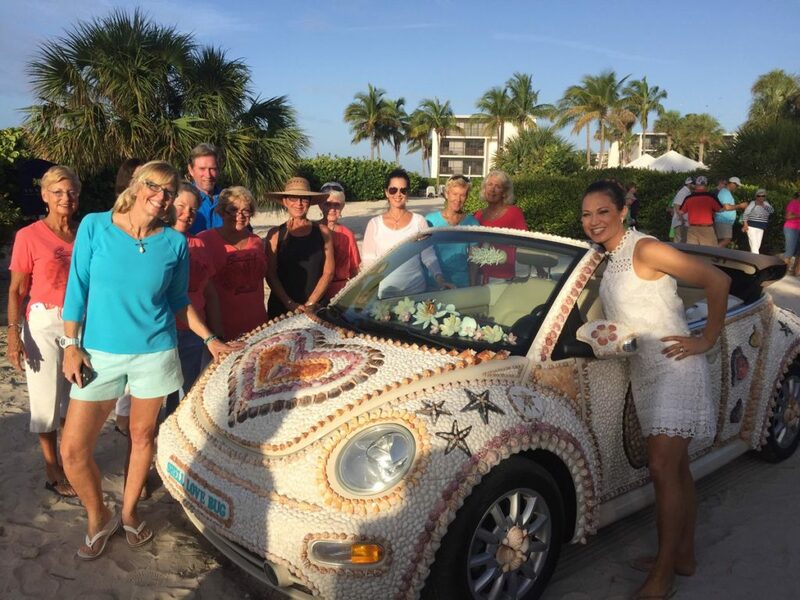 Her intention was to bring beachcomber friends and family together to weave shelling stories and beach memories into a sculpture to symbolize great happiness and love for the beach.